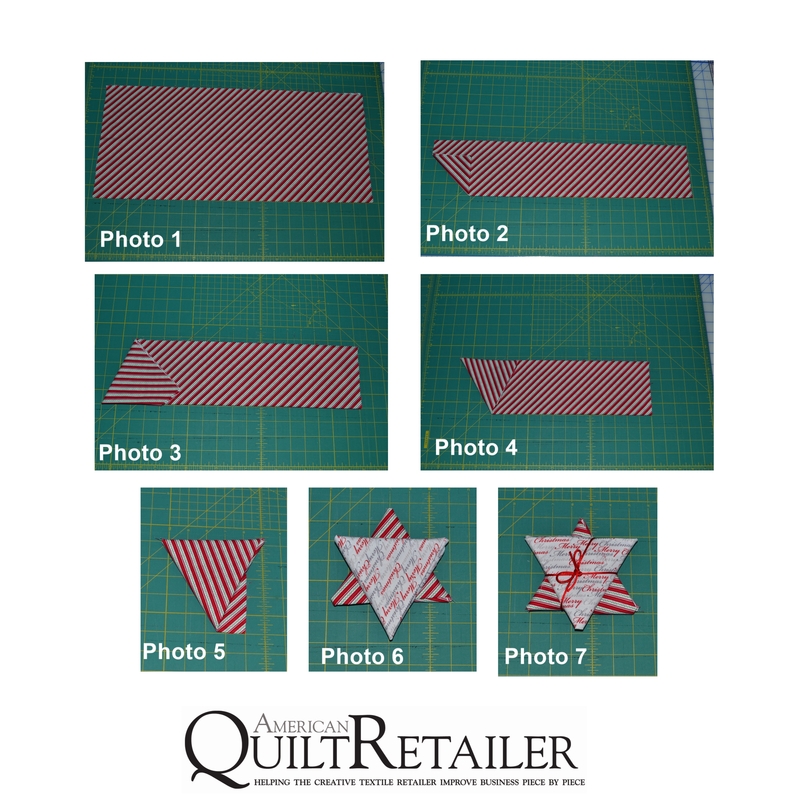 Home / Uncategorized / Fold-it Up and Sell it! 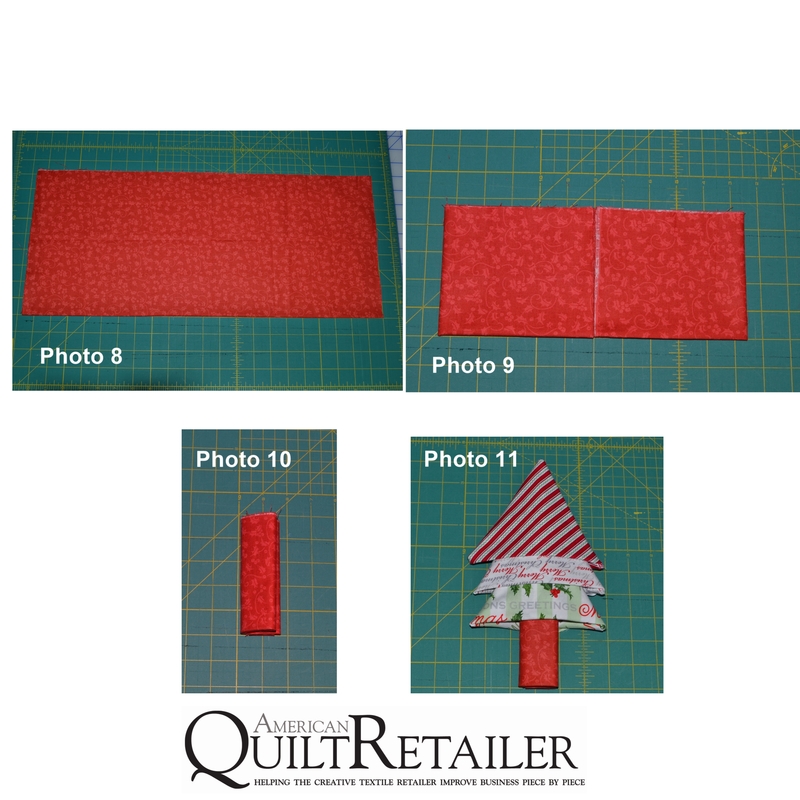 As pictured in AQR’s October article Holiday Glam by Anna Woodward, we compiled step-by-step instructions, complete with photos, for fat quarter Christmas trees and stars pictured in the article. These small gift giving items make perfect last minute pick-me-ups for the sewer that “already has it all.” Customers will be scrambling for those last minute gift exchanges and this will be the perfect gift. Be prepared with this easy how-to! Slide top point of triangles inside of each other. 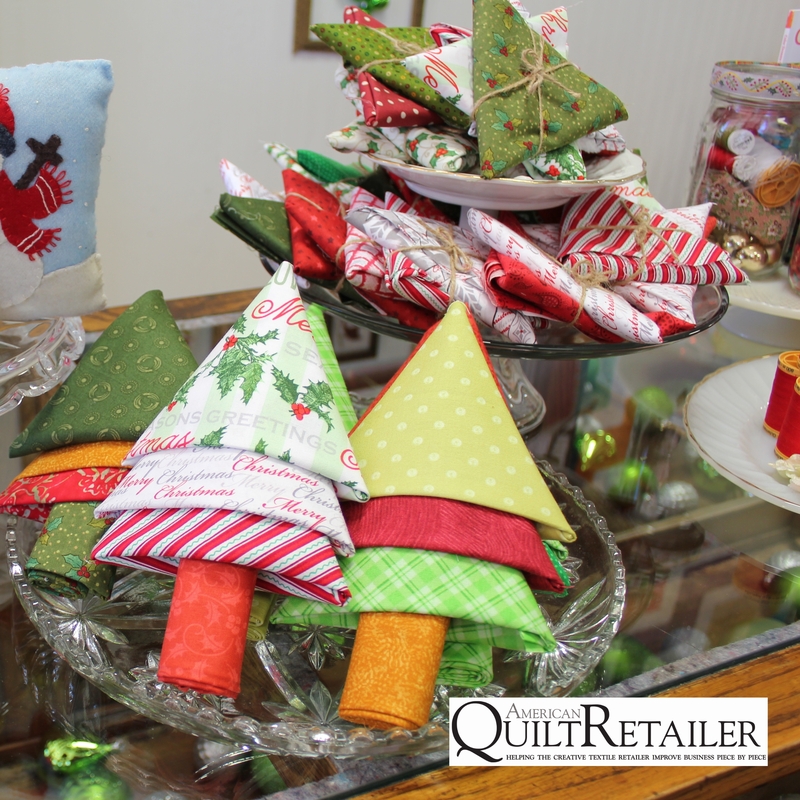 After the third triangle slide the tree trunk inside the fabric to complete the Christmas tree shape. (Photo 11) For more display ideas and to connect with Anna Woodward find her on Instagram @AnnaWoodwardRetailDisplay and on Twitter @WindowsWork. This has been so much fun. Thank you for sharing.